$39.99 on itunes!Buy on Amazon! "'You are sharing the Dark Lord's thoughts and emotions. The Headmaster thinks it inadvisable for this to continue. He wishes me to teach you how to close your mind to the Dark Lord.'" 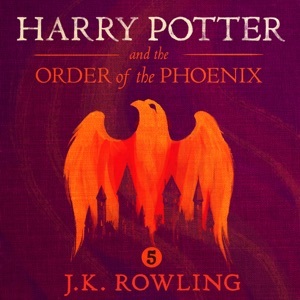 Do you love Harry Potter and the Order of the Phoenix audiobook? Please share!